Well, its the 283rd day of winter, it's already February and I am still waiting to feel that 2019 new year motivation. I've set goals. I made a vision board reminiscent of my teenage Sassy magazine covered bedroom walls. I've been sticking to my healthy eating plan and doing a plank every morning. But zero motivation to even attempt to tackle any bigger goals or do anything creative. Like write. I daydream about going all Marie Kondo on my closet, and even though I had to empty my closet out due to a radiator leak and my clothes are already all out of it, I'd rather sit on the couch and watch reality TV. While that gluttonous pile of clothes taunts me. 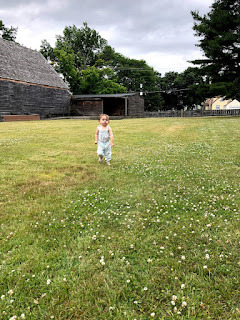 My last post about fashion after babies forced me to look at my old blog. I used to do outfit posts with life posts mixed in. I would write about my adventures and silly things that happened along the way. Like that one time, my friend and I got lightly, rear-ended on the way to a girls weekend. It was a hit and run situation so we called the police. The officer asked how my head was and I quickly replied back "never had any complaints." I was funny. I still am funny. And I want to get back to sharing my sense of humor with the world just as much as I want to feel stylish again. Anyone else not finding that New Year motivation? ?